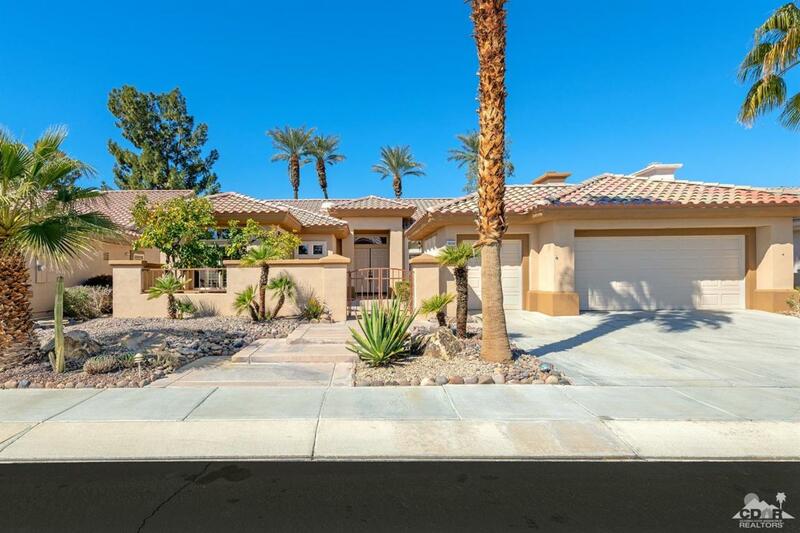 Beautiful 3 bedroom, 3 bathrooms 2,155 SF Emerald Model similar to the Monaco. 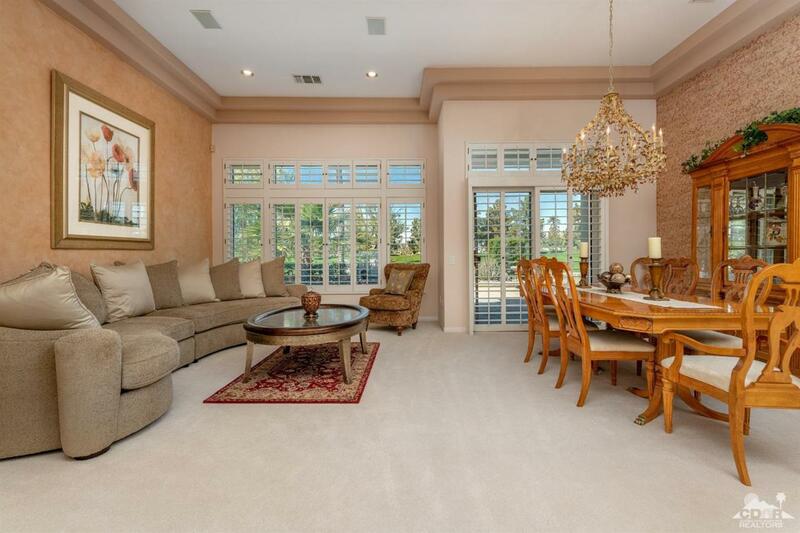 Inviting patio with North West double fairway views of the Snow capped Mountains. 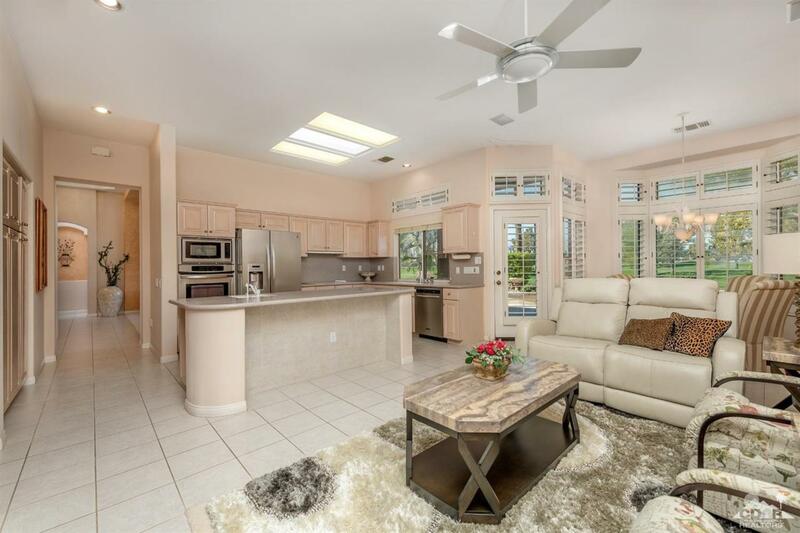 Master bedroom off of the patio with sought after golf course views. Front courtyard entry, Shutters throughout the home, Formal living & dining room with Separate family room with fireplace and casual dining room open to the gourmet kitchen. Corian counters stainless steel appliance with a large, inviting island make this the perfect full time residence tor Desert getaway. 2 large bedrooms with smaller guest room or office. Exterior of home was just freshly painted. 2 car garage plus additional golf cart garage. Offered furnished. Just a a Short golf cart drive to the Mountain View Clubhouse. Come and enjoy everything the Del Webb Sun City lifestyle has to offer. Listing provided courtesy of Darrell Phillips of Keller Williams Realty.